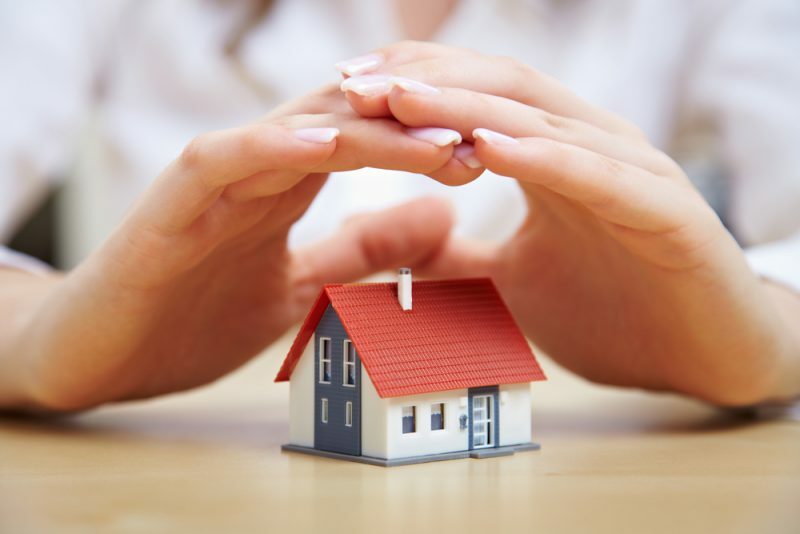 Home insurance isn’t like auto insurance: it’s not something you absolutely must have in order to own a home. Legally speaking, if you’re not making mortgage payments on your house, then it’s up to you to decide whether or not you want coverage. Even so, there’s still a ton of reasons to look into homeowners insurance. We’ll tackle three here, starting with the most obvious one. Unless you’re a celebrity or someone who just came into a generous amount of inheritance money, you’re probably going to need some help from a mortgage lender – then you’ll just make monthly payments until you’ve paid your debt in full. In other words, your home isn’t just your investment; it’s an investment for the bank, too (which means you’ll have no choice but to buy homeowners insurance). You’ll need homeowners insurance in New Jersey and homeowners insurance in North Dakota – there’s not a state in the US where your lender is willing to let things fly without homeowners insurance. It may seem like a pain, but mortgage loans made the dream of home ownership a reality for hundreds of Americans. Prior to the 1930s, less than half of Americans owned their home. Why? Because they couldn’t come up with the cash to pay for it in one lump sum. If you can’t pay back the loan after you sign on the dotted line, it’s a possibility your house will be taken from you in foreclosure. Foreclosure rates soared during the recession that began in 2007, but things have calmed down since then (though the rates are still high in states like Florida and New Jersey). It gives you and your family the protection you need. Can you say you live in a part of the country that will never be hit by a natural disaster? Spoiler alert: No one can. Although, there are regions where you’re less likely to be the victim of a tornado, wildfire, hurricane, or earthquake, the risk is never zero percent – even if you’re in a place like Buffalo, NY, or Cleveland, OH. If you live in an area that’s prone to flooding, you should expect to pay for flood insurance, likely through the government-backed National Flood Insurance Program. That’s because basic homeowners insurance doesn’t cover certain natural disasters. If a tornado levels half your house, or if a snowstorm causes your roof to cave in, then you’ll also benefit from Additional Living Expense coverage, or ALE. Significant damage to your home isn’t going to be repaired overnight, and an ALE policy can go a long way towards ensuring you aren’t homeless or hungry while you wait for the repairs to be completed. It doesn’t mean you can rent out a mansion and eat caviar, but it’ll cover hotel costs, storage costs, and even the cost of boarding a pet. Picture this: it’s a typical Saturday afternoon, and your kids are outside playing with a friend who lives down the street. You hear commotion only to go outside and find out that their friend has taken a nasty tumble. He/she ends up in the hospital, and the parents threaten to sue you over the medical bills. What should you do? If you have a personal liability policy with your homeowners insurance, call a representative and let them know what happened. Insurance companies have lawyers who will either negotiate with the other family or, if necessary, defend you in court. According to The New York Times, a personal liability policy can also cover you for something like libel or false arrest. However, homeowners insurance doesn’t cover injuries that result from an intentional act on your part. (So if you assault someone, that’s on you.) Homeowners insurance doesn’t cover health issues, either. So if you look up the risk-factors and other facts about breast cancer or the causes of Mesothelioma and think your house is the culprit, then you should reach out to a personal injury lawyer.